These structures have always fascinated me. They were usually built sometime between the 9th and 12th centuries. They were generally part of monasteries and while they were built to stand alone some have been incorporated into later buildings. They are surprisingly uniform in design with circumferences at the base usually between 14 and 17 m and wall thickness from 0.9m and 1.7m. 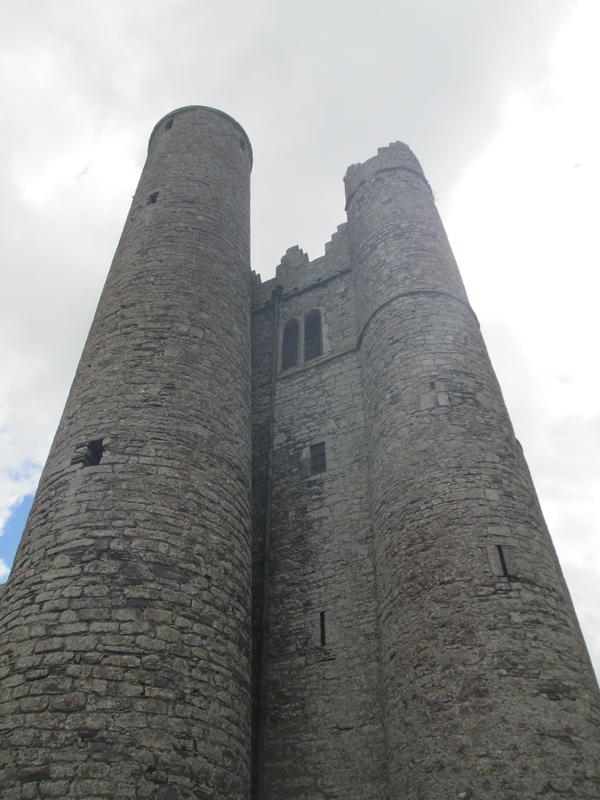 They also almost all have doors raised above the ground at least 3 m and they have at least four windows at the top, each of which often faces a cardinal point, along with more windows at lower levels in the tower. Most stand at close to 100 feet. There is a possibility that the dimensions were determined by the role of certain numbers in christian theology. 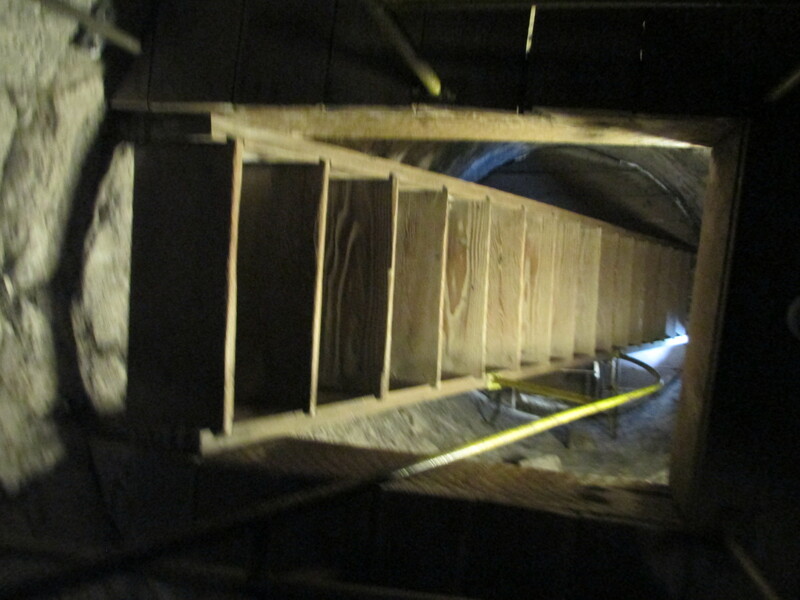 They also had several levels connected by ladders. 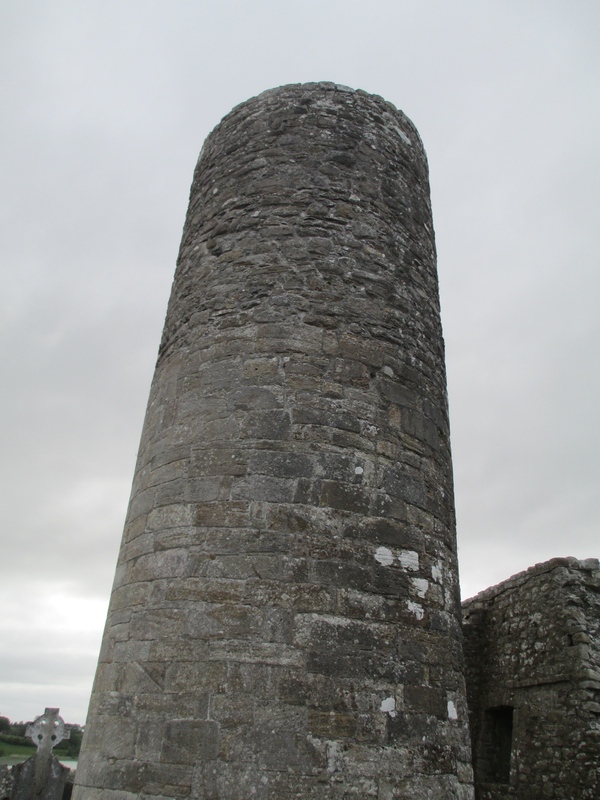 Additionally it is worth noting that the surviving conical tops were often reconstructed in later time periods. Debate still continues as to their purpose. It is possible that they were simply bell towers, part of the system of the call to prayer with the height made necessary by the size of the ecclesiastical sites. They may have also been symbols reaching towards the glory of God and illustrating the importance of the ecclesiastical site, conveying messages of spiritual and temporal power. There is also an argument, though currently thought of as a little less likely, that they were watch towers and were part of defence systems. They may have been built partly as a response to Viking and other attacks. 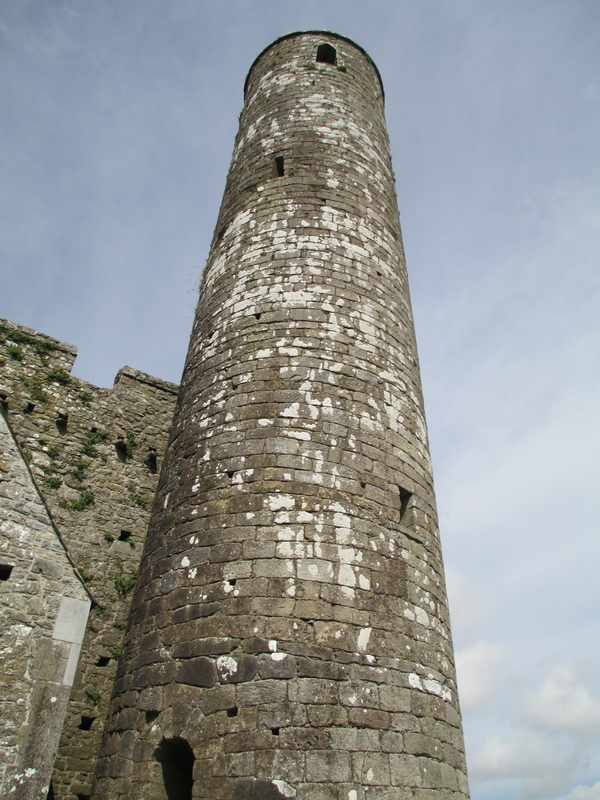 The monks would have been able to climb in, store their treasures, burn the stairs to the door, keep the raiders out and possibly ring bells from the top of the tower to call for assistance. Essentially no one is absolutely certain as to their purpose. It is also plausible that there were multiple purposes, combinations of the possibilities listed above. 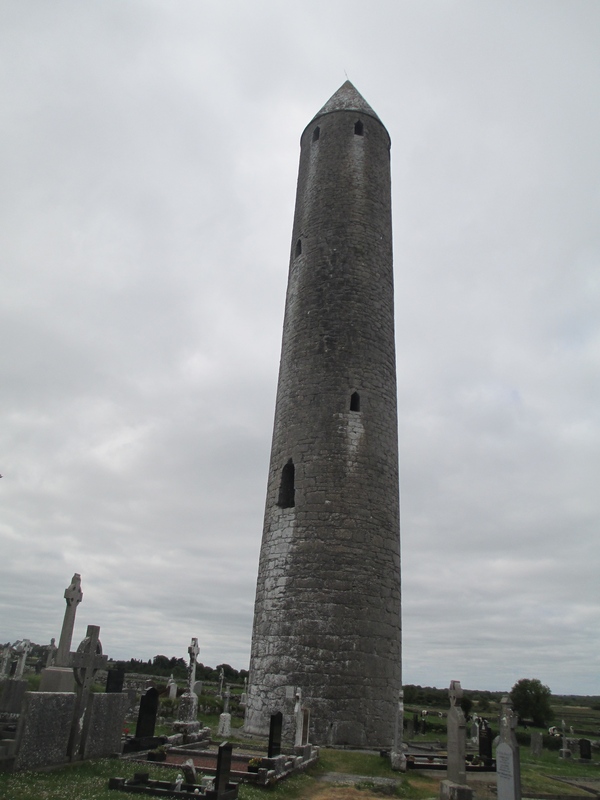 They are immense structures though, the tallest at Kilmacduagh stands at 102 feet and is on a slight lean. 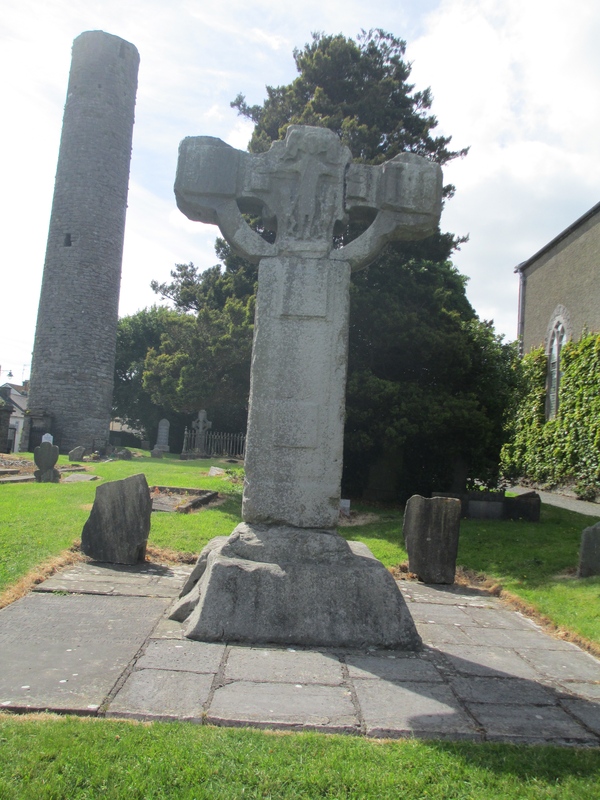 They are beautiful and a testament to the ability of their builders as there are over thirty still standing in varying states of repair across Ireland. Below you can see examples from all around Ireland of these beautiful and truly intriguing buildings. 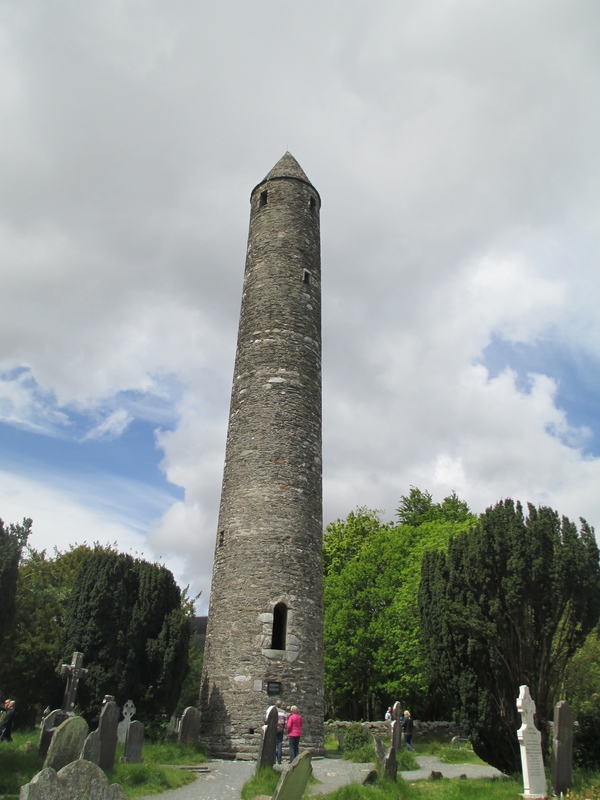 Glendalough Round Tower built between 900 and 1200. 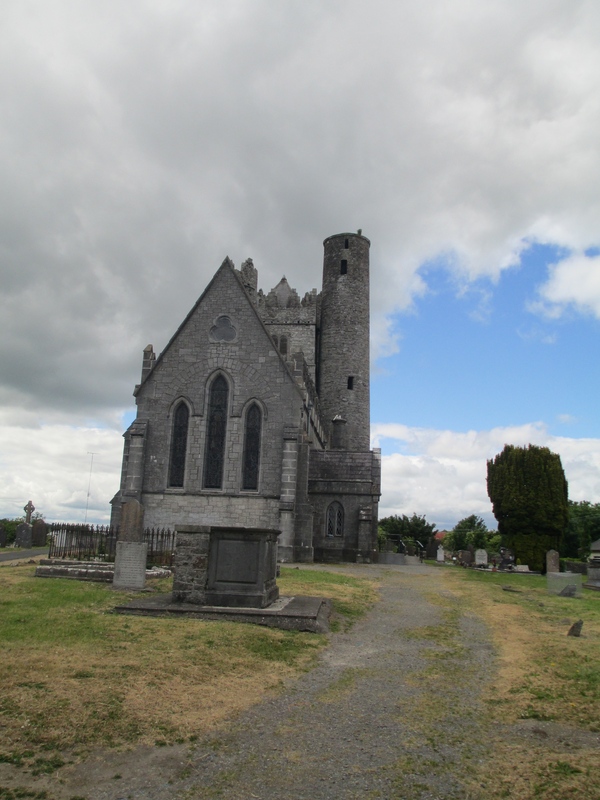 St Canice’s Cathedral and Round Tower. Built c. 1111. 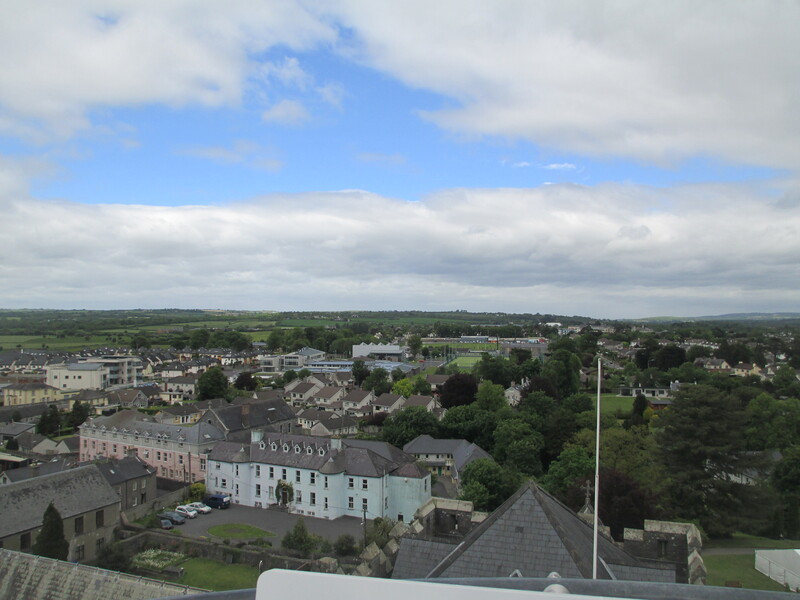 View from St Canice’s Round Tower. 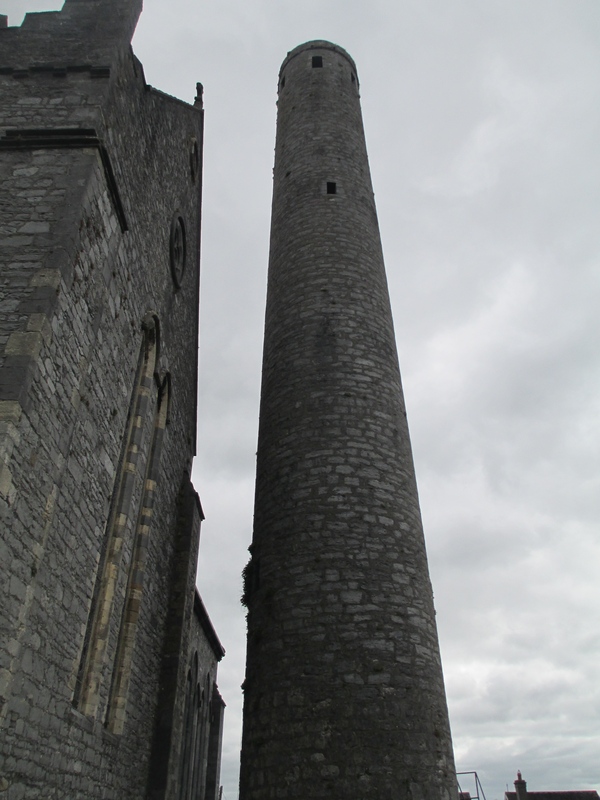 Interior of St Canice’s Round Tower. It’s one of the only Round Towers you can climb. 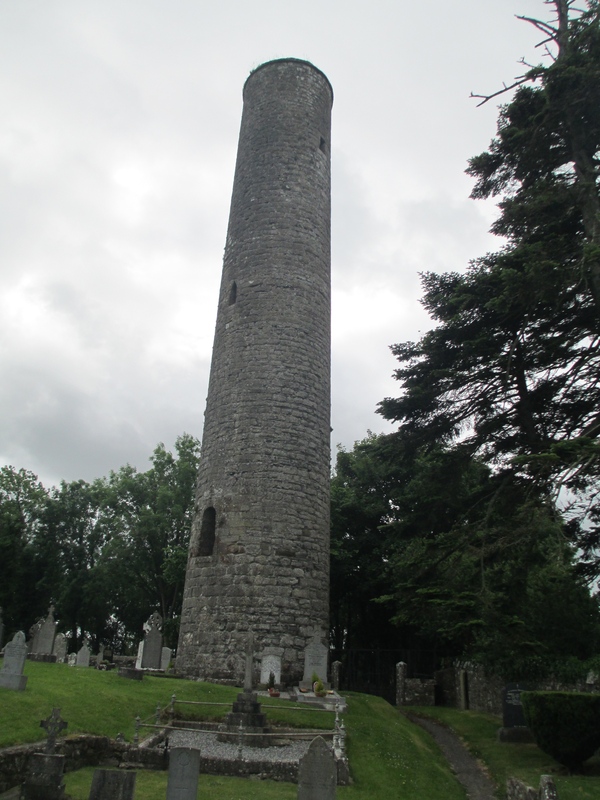 Kilmacduagh Round Tower c. 10th century. 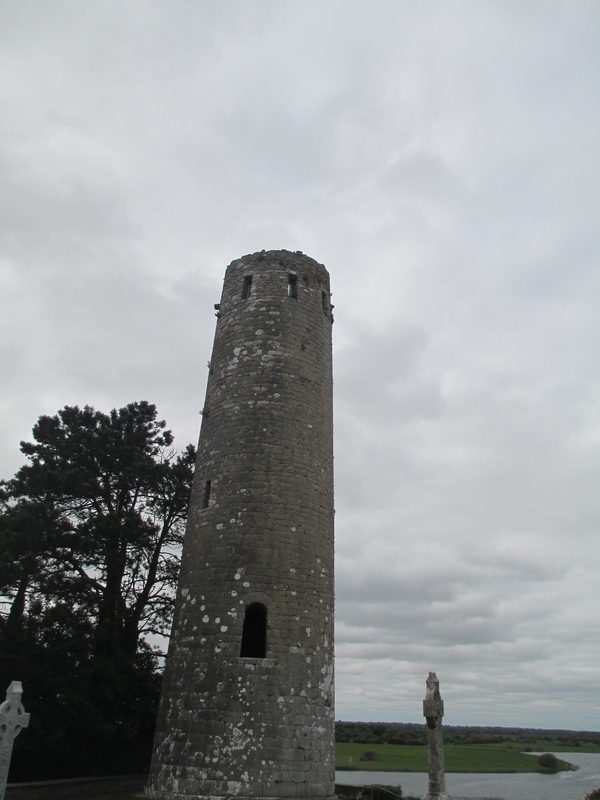 The taller of Clonmacnoise’s two Round Towers c. 12th century. 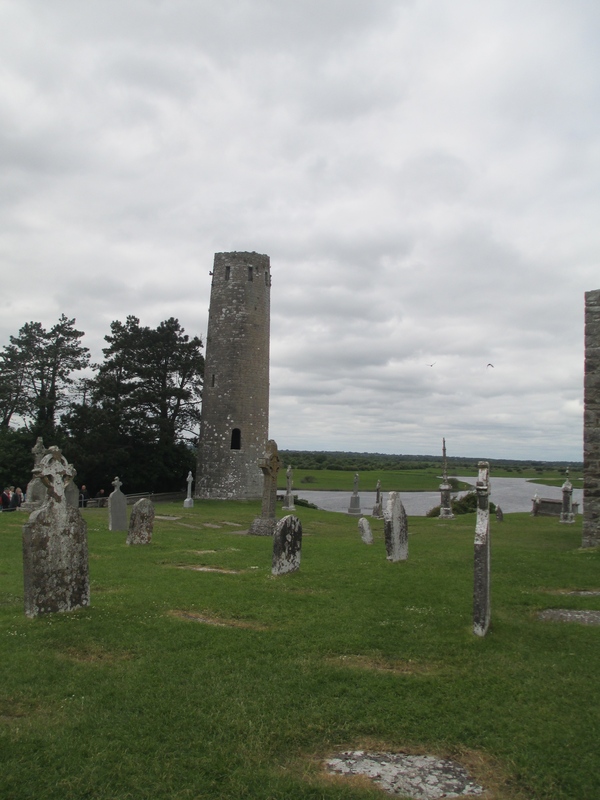 The taller of Clonmacnoise’s two Round Towers. 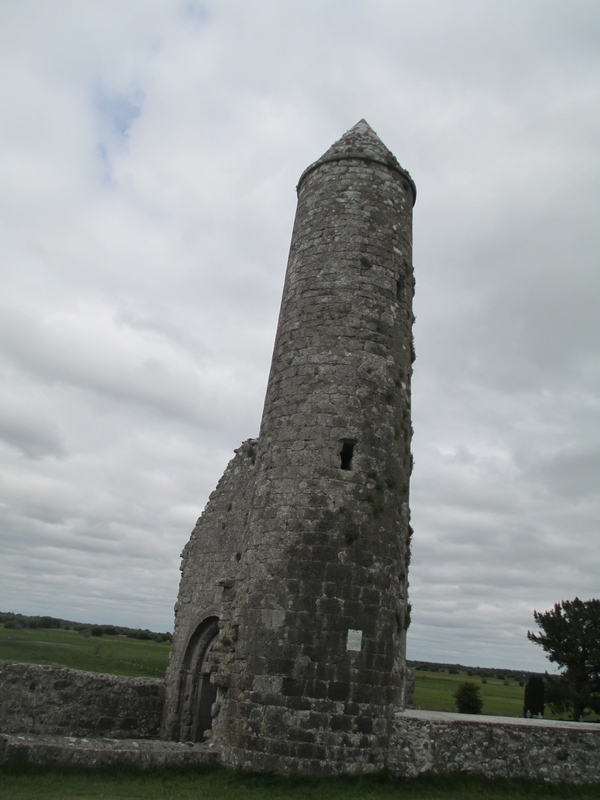 The shorter of Clonmacnoise’s two Round Towers c. 12th century. 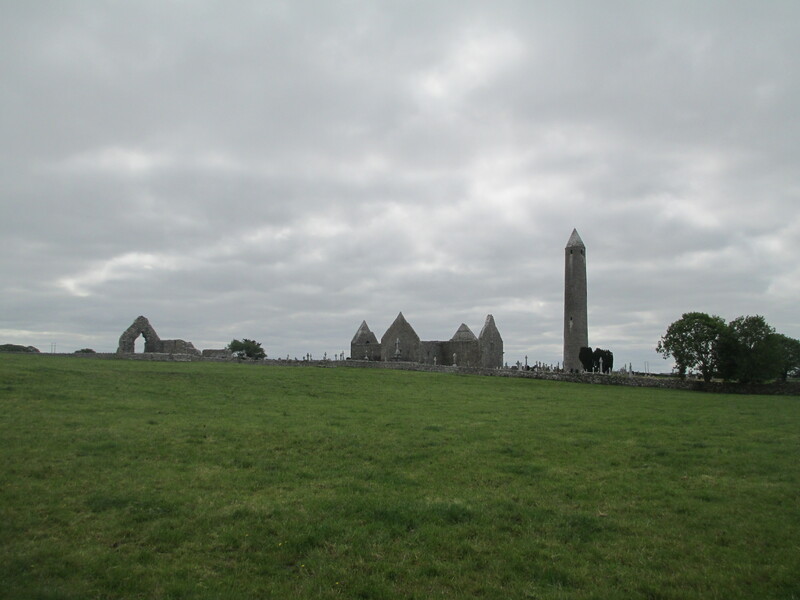 Round Tower at Drumlane Abbey c. 10th- 11th century with c. 15th century additions. Round Tower at Drumlane Abbey. 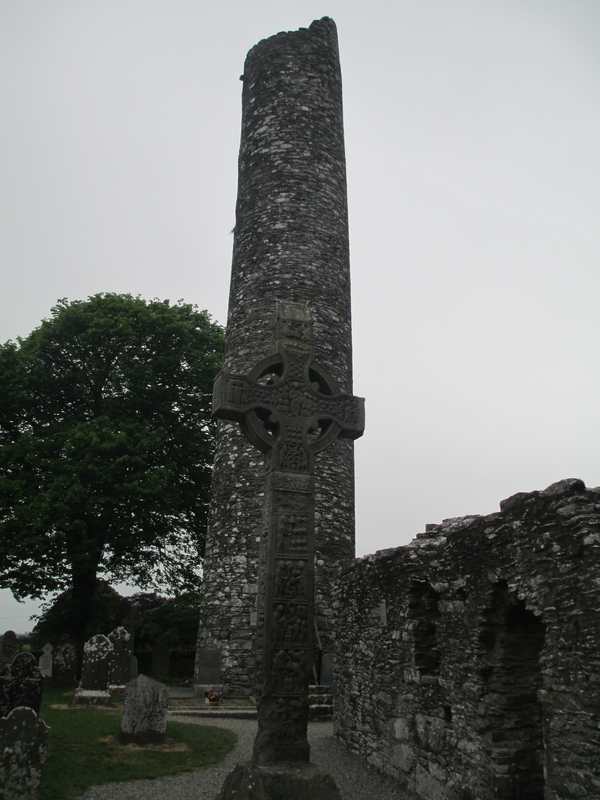 Kells high cross and Round Tower. The Round Tower dates to 10th century. 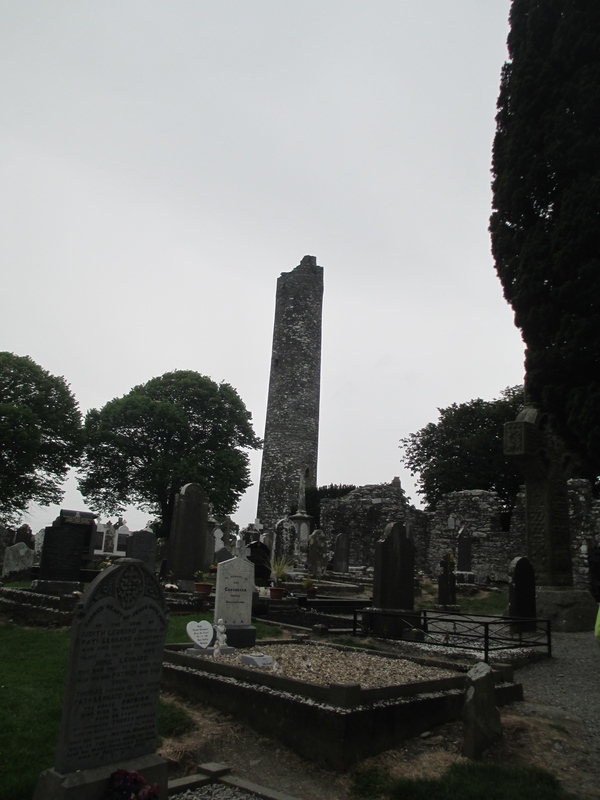 Monasterboice Round Tower 10th century. Monasterboise high cross and Round Tower. 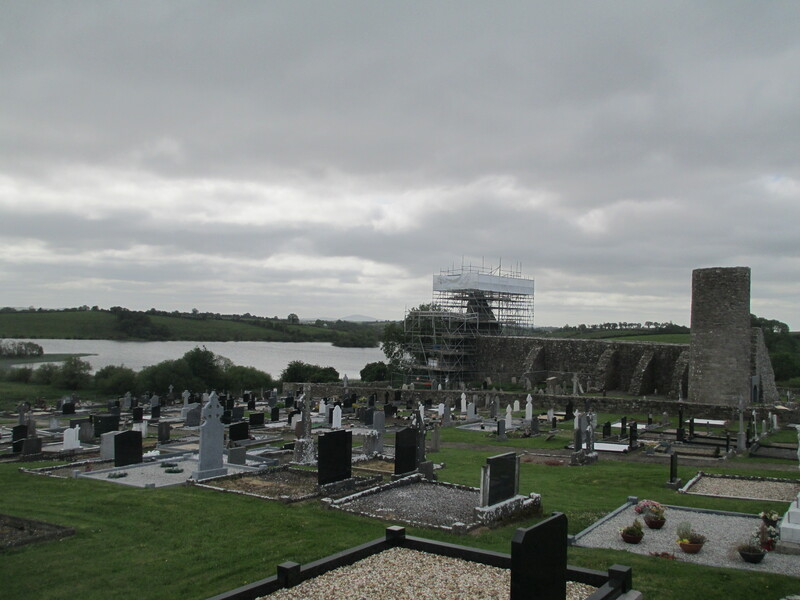 Donaghmore church and Round Tower 11th-12th century. 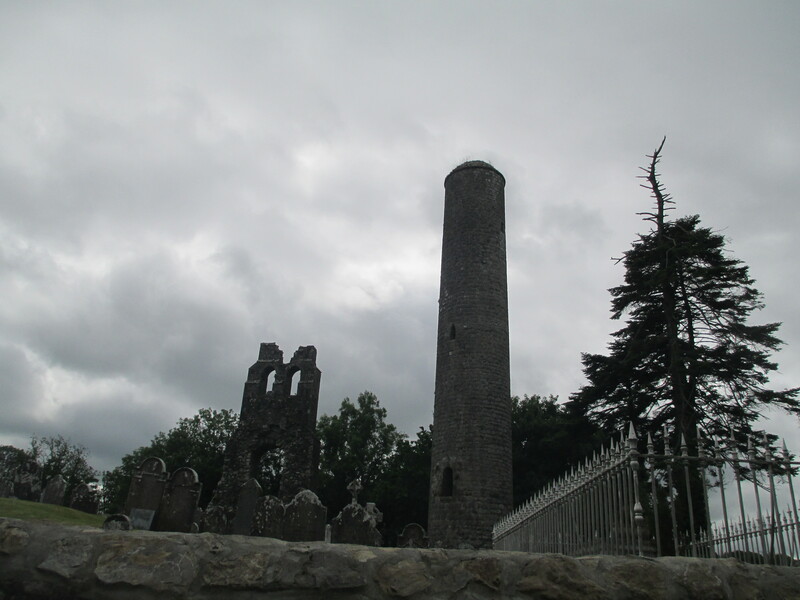 Lusk church and Round Tower c. 11th century. 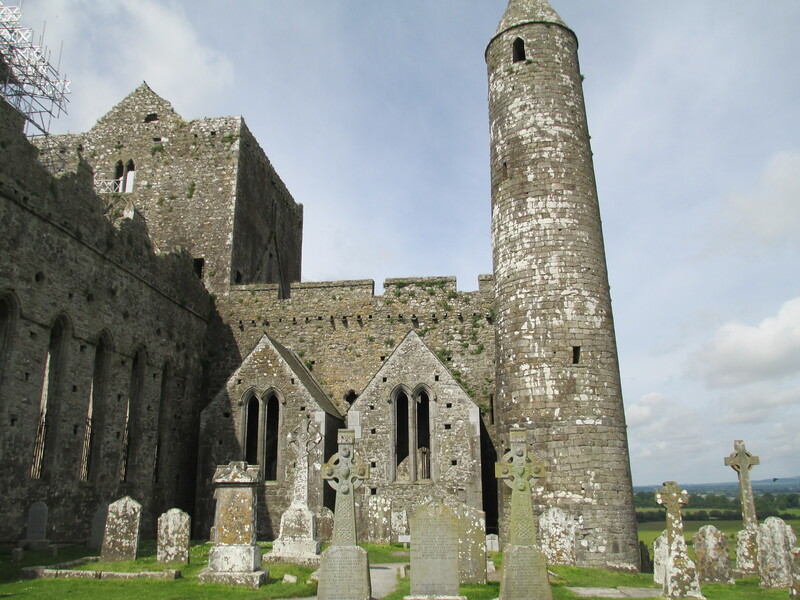 Cashel Round Tower c. 11th century. You can see the astounding similarity in all these towers. They truly stand as a testament to the immense skill of their builders and will, I’m sure, continue to fascinate people well into the future. 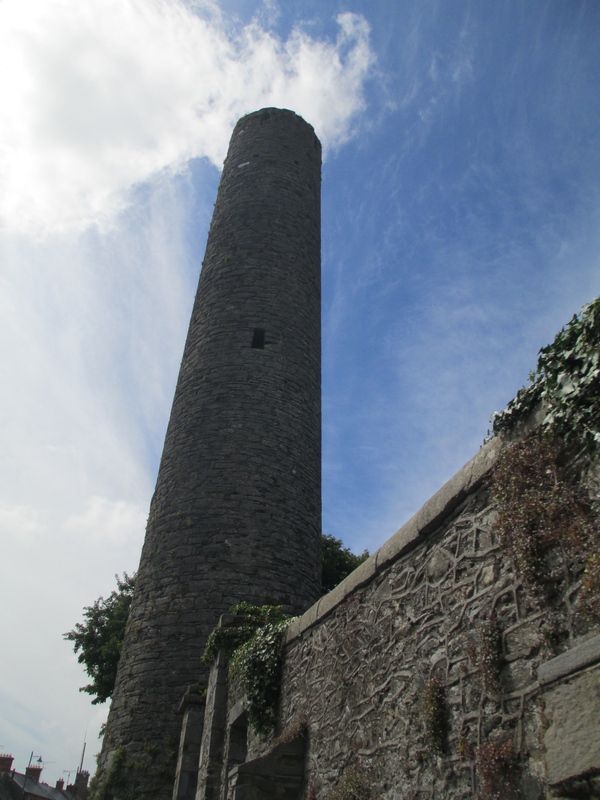 This truly excellent article by Russell Ó Ríagáin which also investigates the possible influences in the building of the round towers. Thank you for such an interesting article and so many lovely photos of the Round Towers.